And I found pork and dumplings! In fact this dish is named after the restaurant and was in the center of the menu in a bigger letter type, so must be good yes? I was warned the portion may be large, but was also offered help to finish my food. What I was really curious about was the blood sausage, which is made so differently everywhere. Would it be savory like in France or sweet like in Sweden? 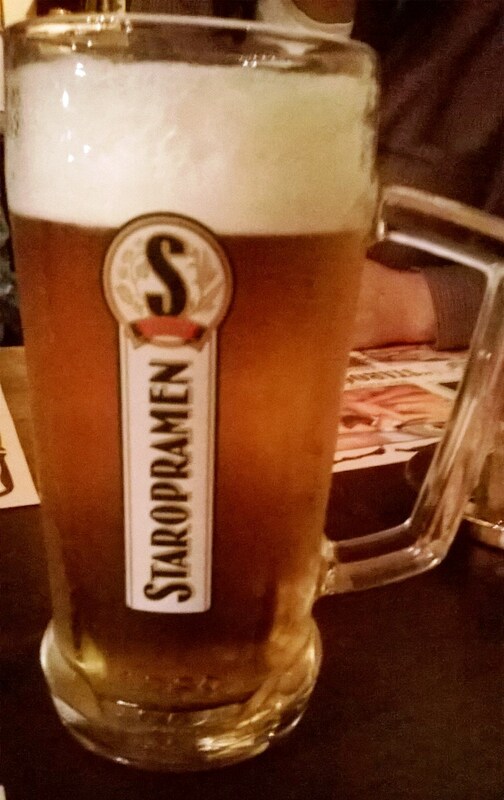 I ordered the obligatory beer, which was from Staropramen. My Czech colleagues were rather disappointed that the restaurant served this brand as it was one of their least favorite, too sweet! The sugars result in worse hangovers apparently. 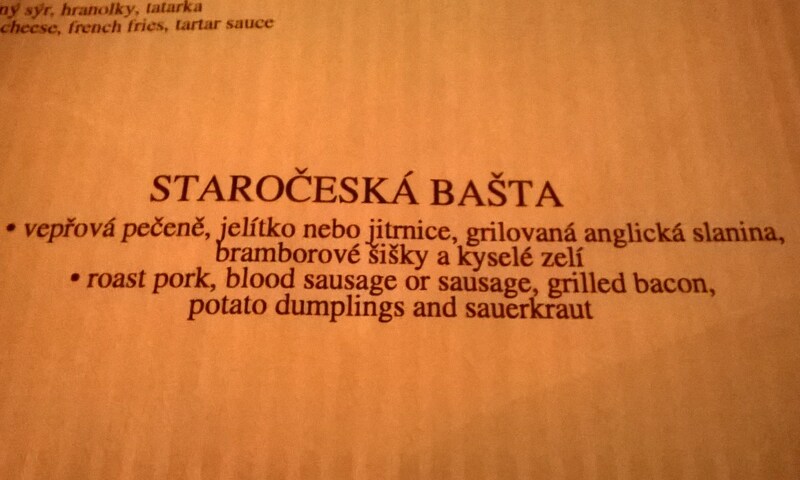 The food was good, and especially the blood sausage was great! The dumplings tasted like, well, dumplings, which are best eaten drowned in gravy. So not a lot of flavor and a pleasant chewy bite, sort of like dense gnocchi. There was a bit of bacon, which was salty and fried slightly crispy. Then the piece of roast pork which had some drier bits and juicier, fattier parts. Everything was on a bed of sauerkraut, which was quite sweet. It tasted more like braised cabbage and had little of the sourness usually found in sauerkraut. Last, but definitely not least, the blood sausage. When I cut into the very thin casing the insides oozed out and I saw lots of barley. I tried a bite and it was savory and moist, and my first reaction, “hey it’s like haggis!” Yes, Scottish people will absolutely disagree with me, and I’m sorry, sort of. The blood sausage was by far the best thing on the plate and I would’ve been happy with two of those instead of the other pieces of pork. 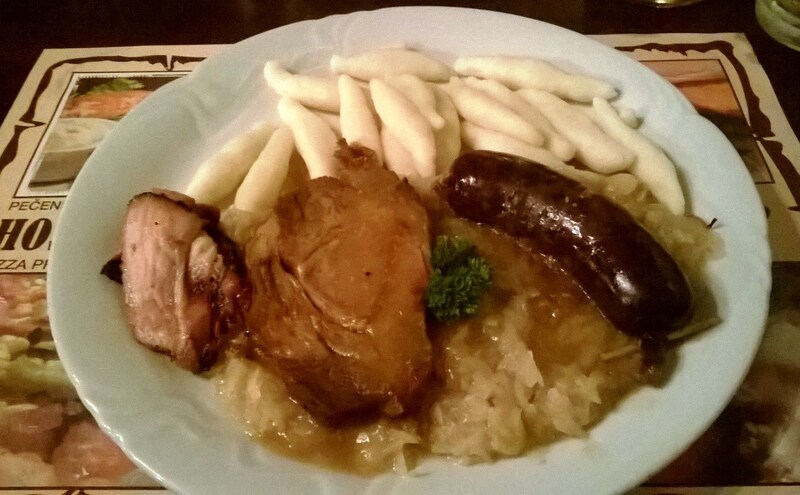 This dinner felt like inebriated pig to the max; three types of pork and one liter of beer later, I started feeling sleepy. It was time to crash. The half liter beer at Staročeská bašta went at a whopping 1 Euro, and my meal was 7 Euros. 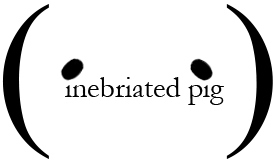 I really enjoy the food in the Czech Republic but after a few days of this you do start craving a light salad.